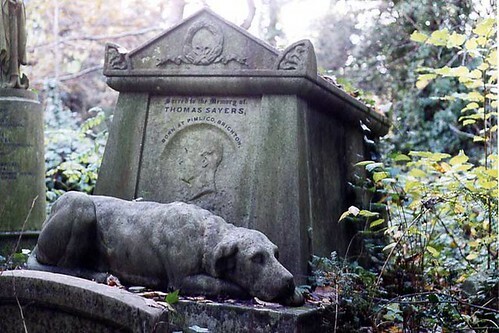 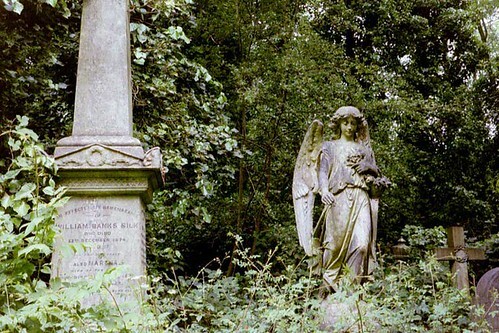 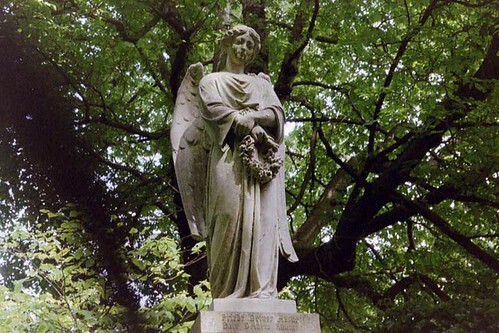 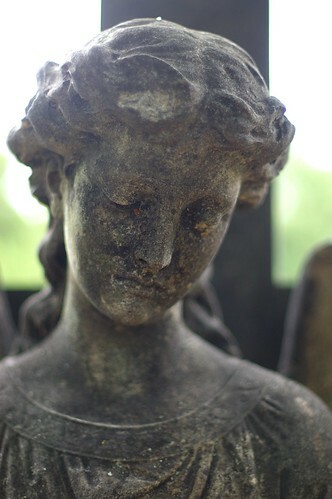 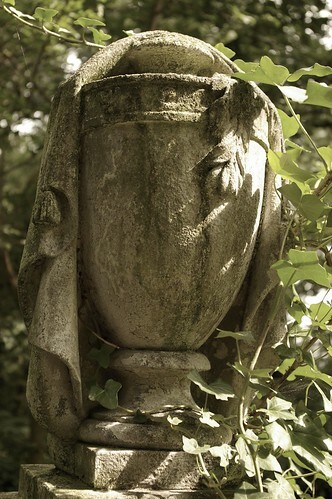 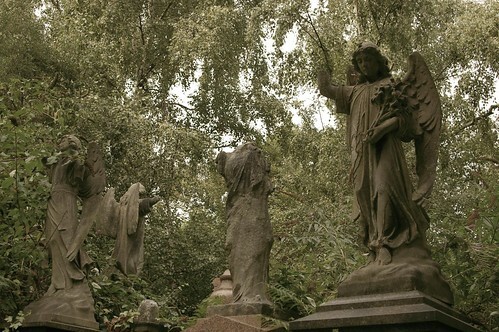 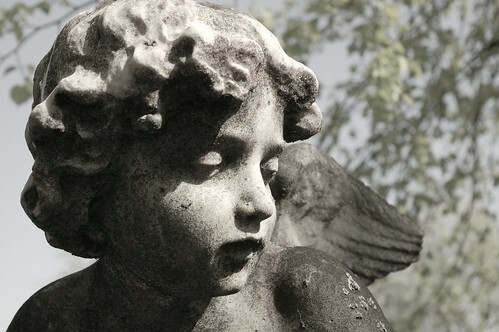 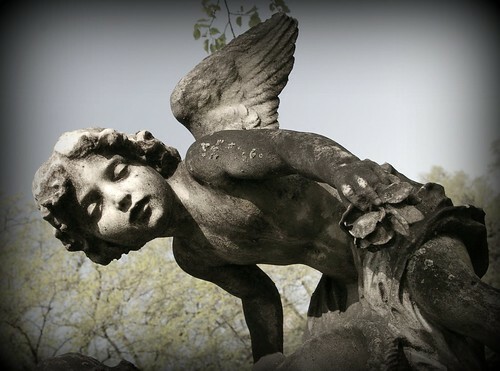 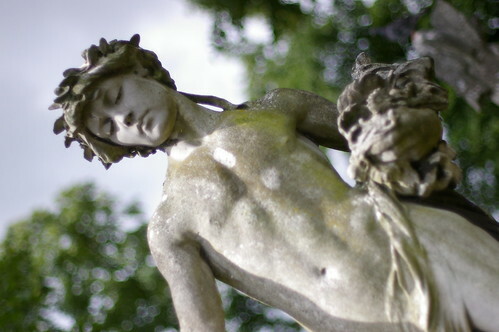 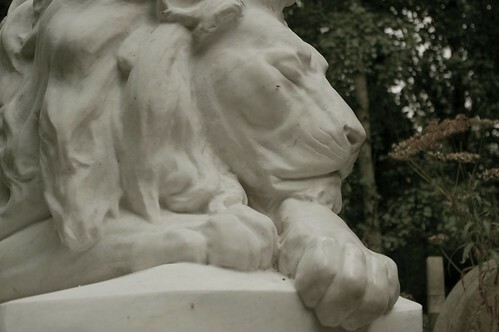 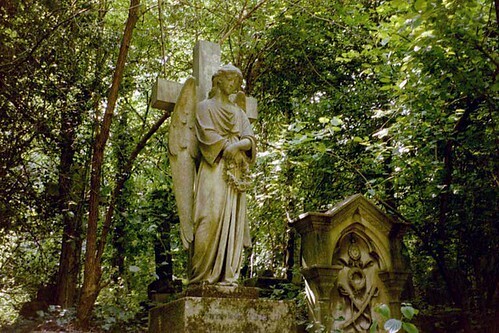 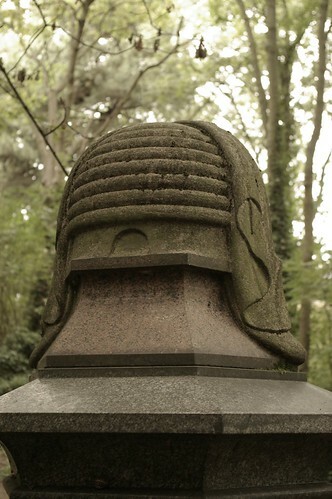 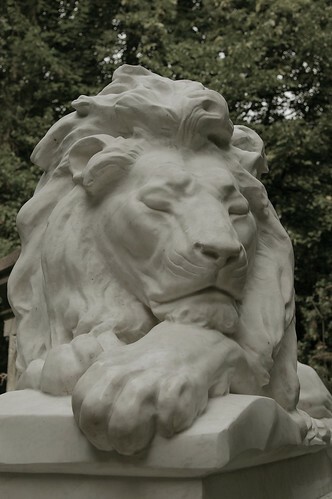 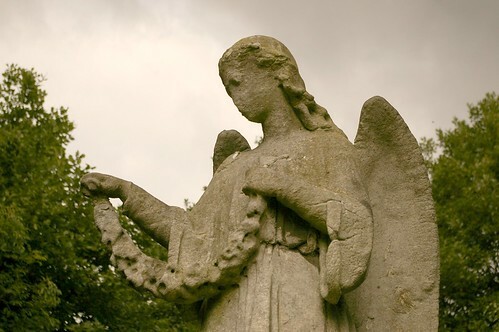 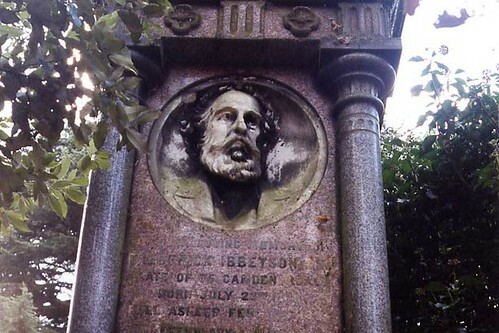 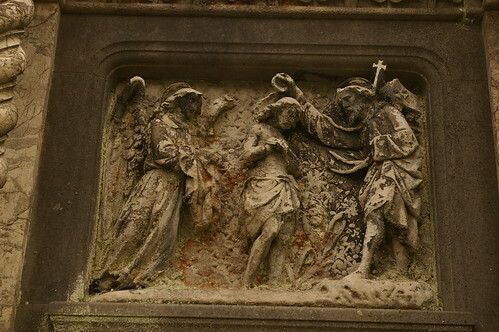 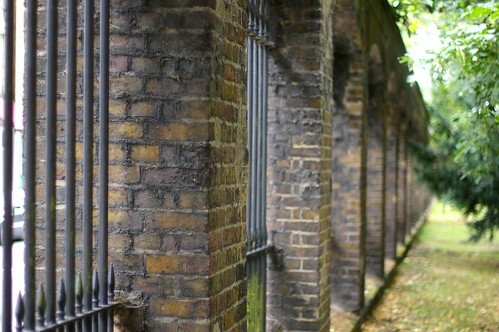 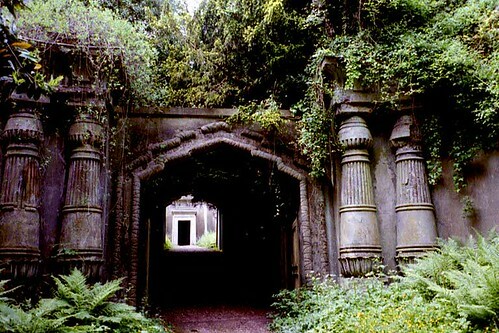 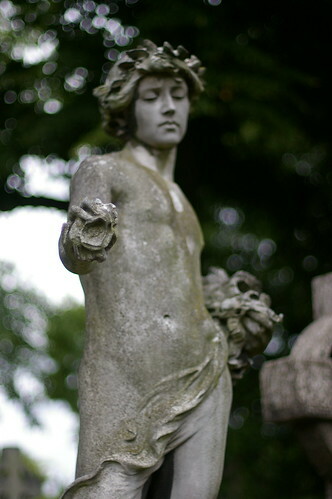 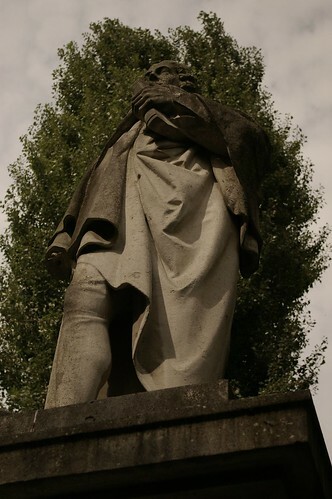 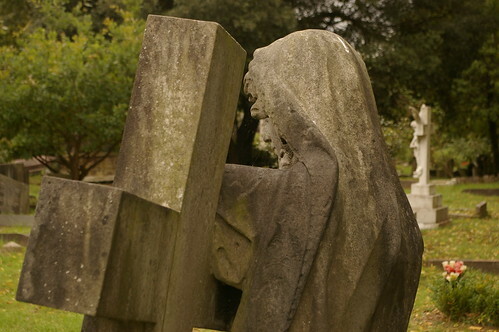 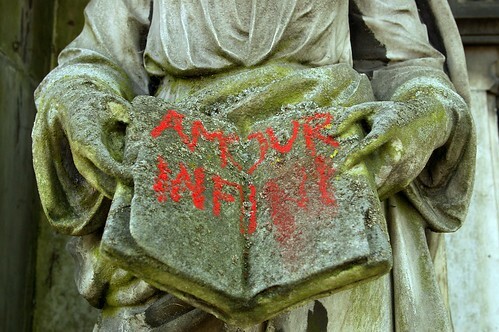 Highgate Cemetery is probably the most famous cemetery in London, if not in England, and is a must-visit for anyone with the slightest interest in things taphophilic. 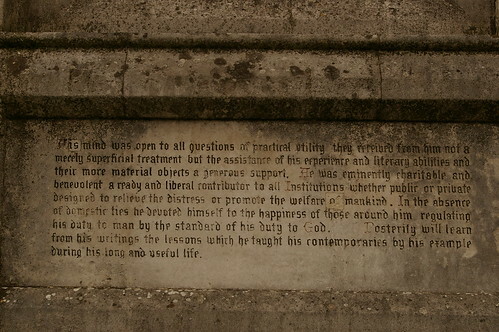 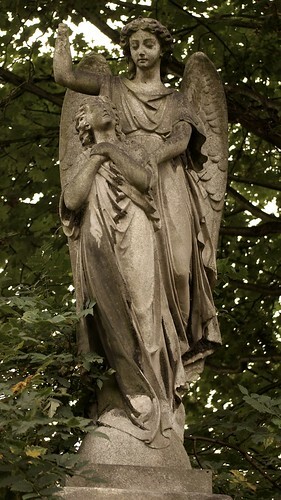 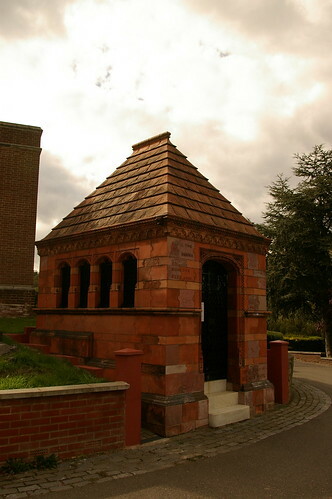 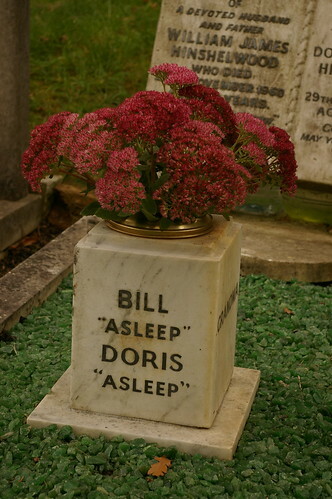 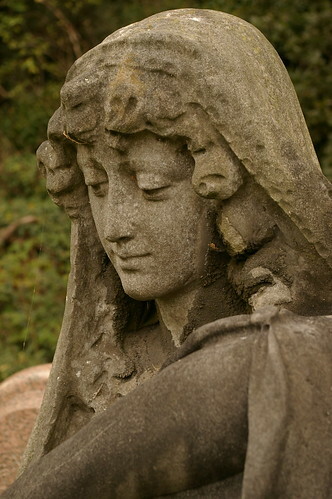 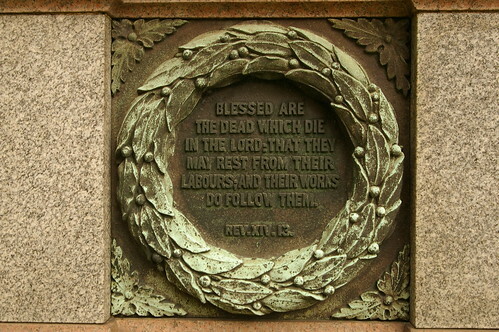 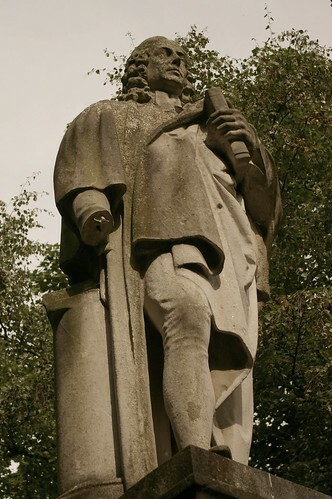 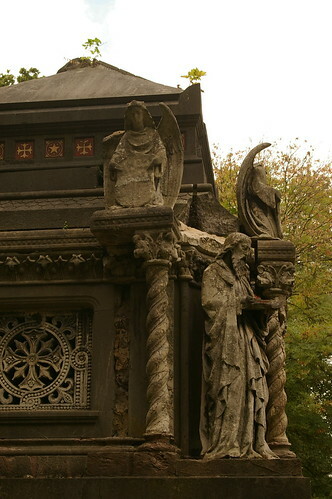 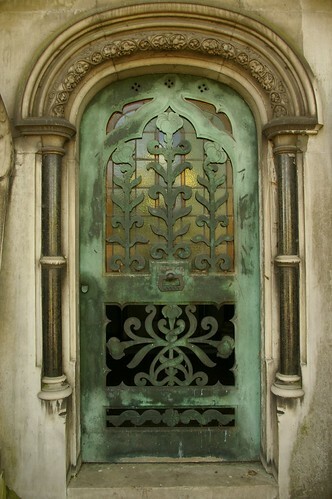 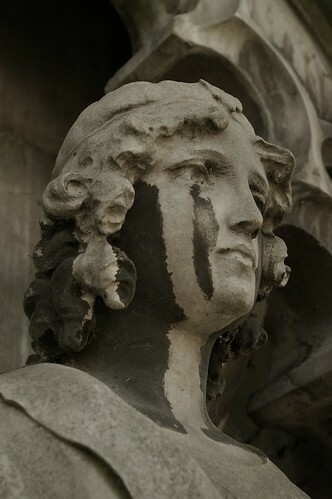 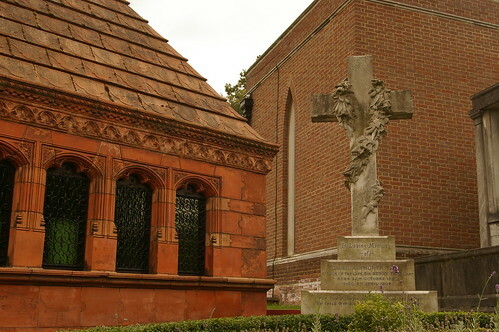 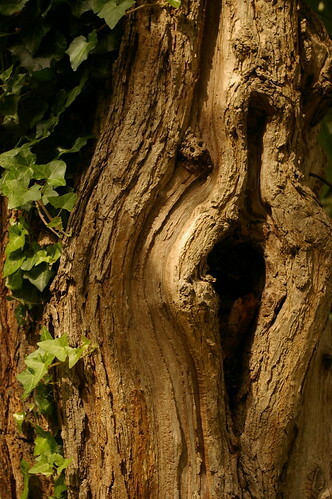 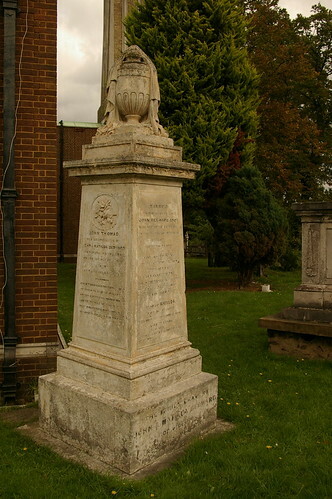 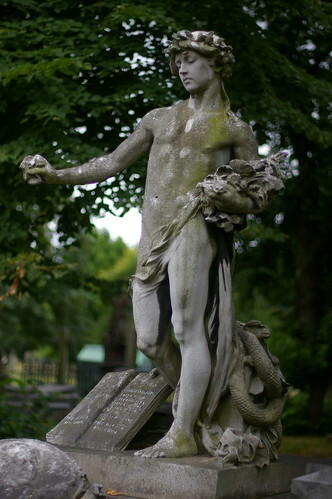 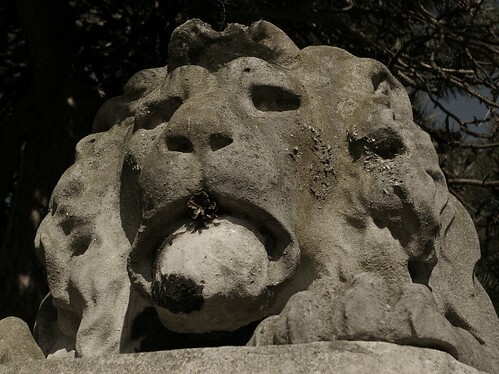 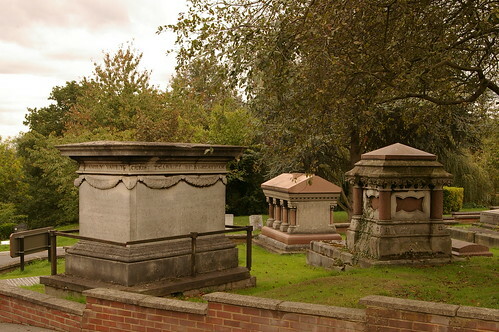 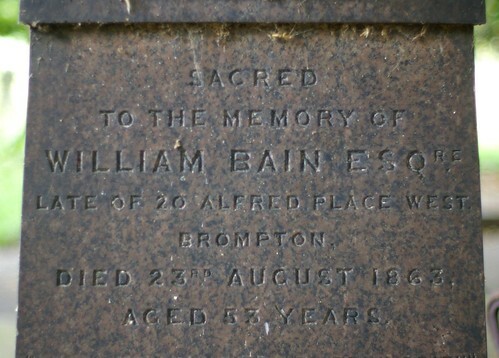 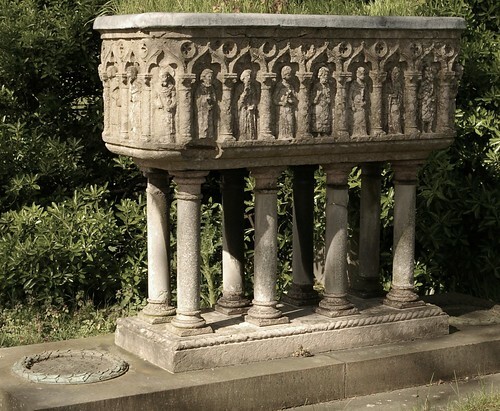 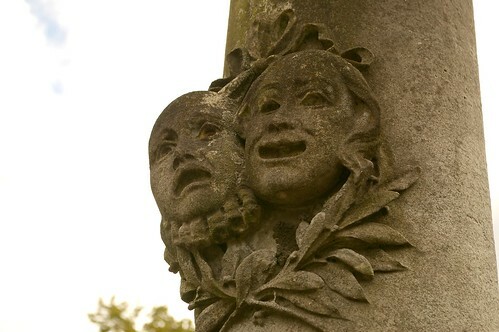 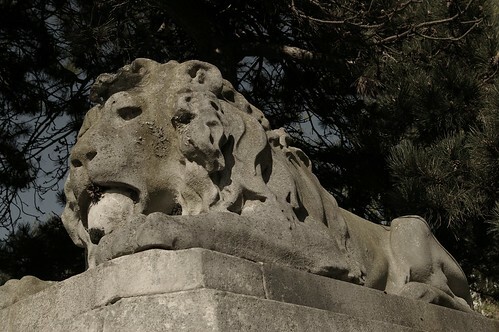 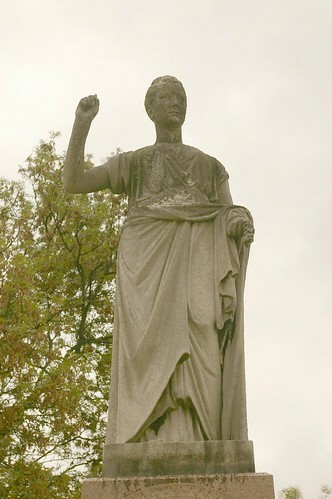 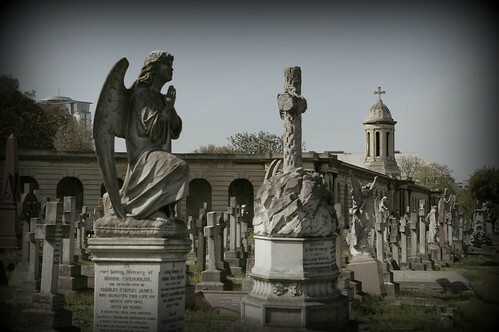 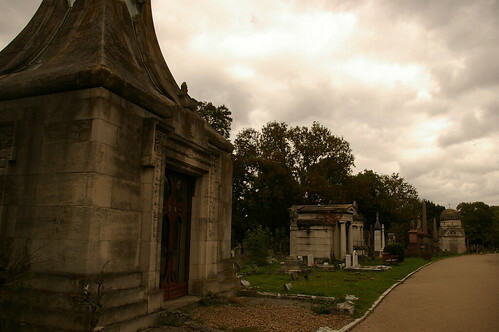 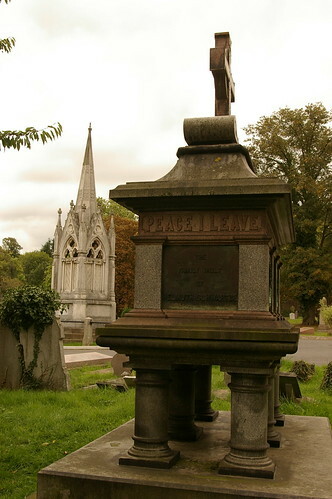 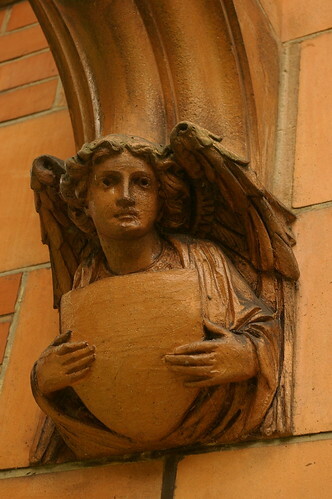 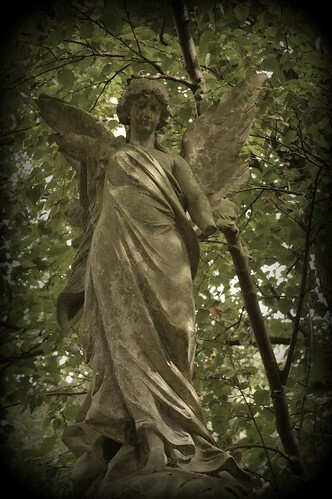 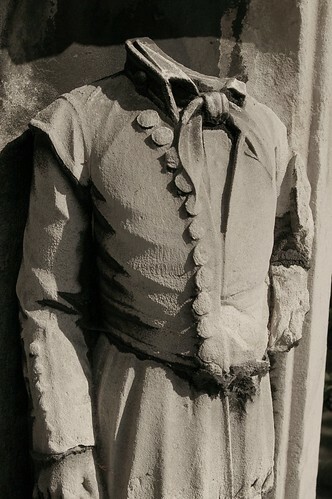 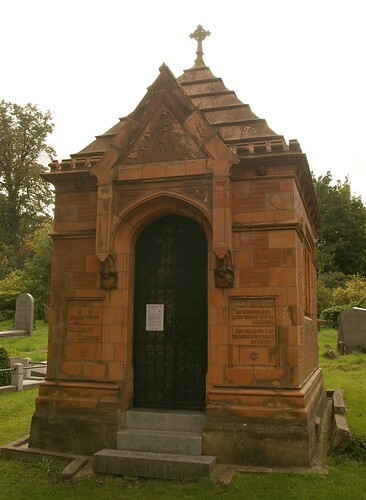 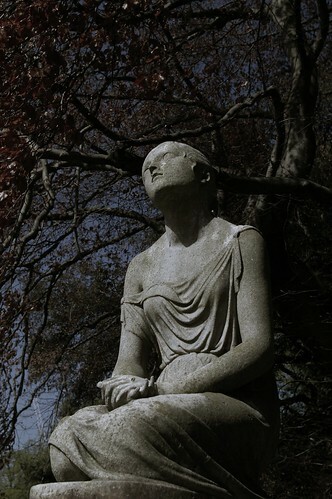 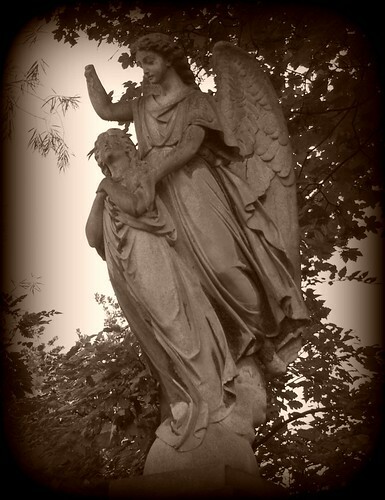 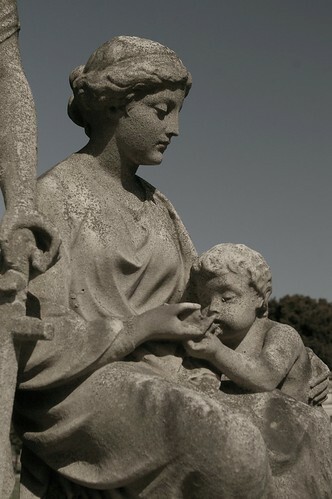 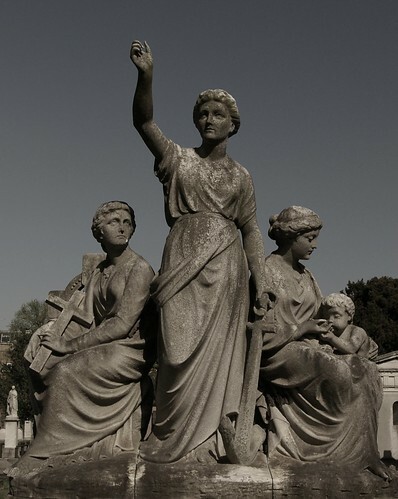 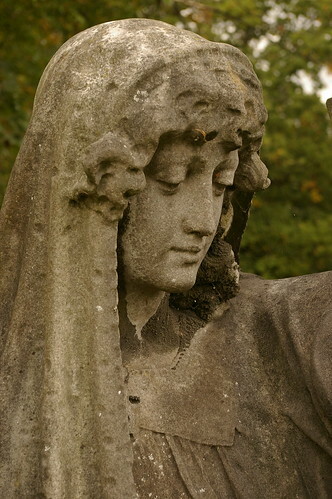 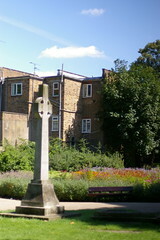 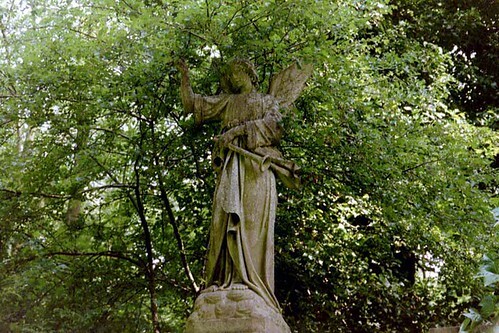 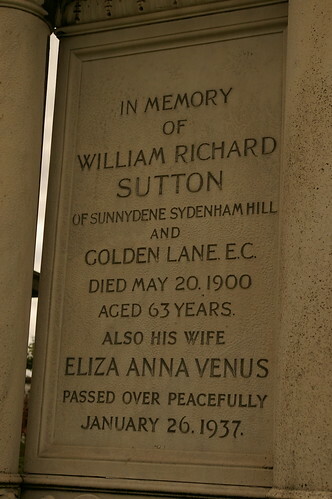 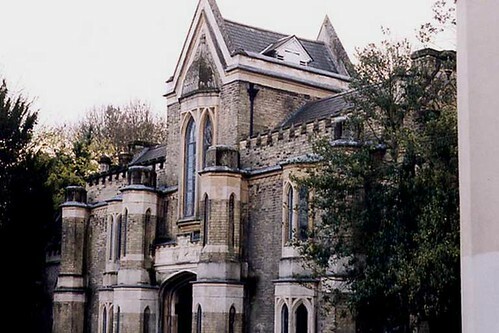 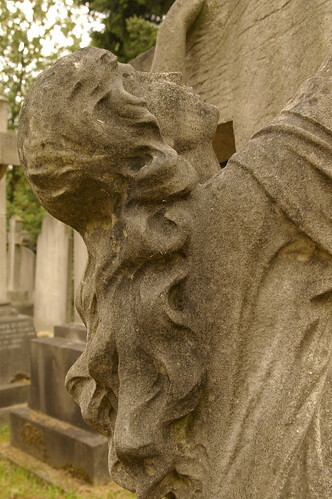 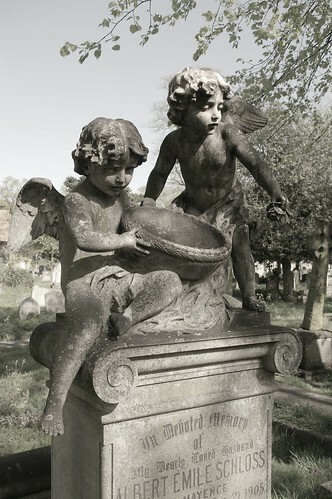 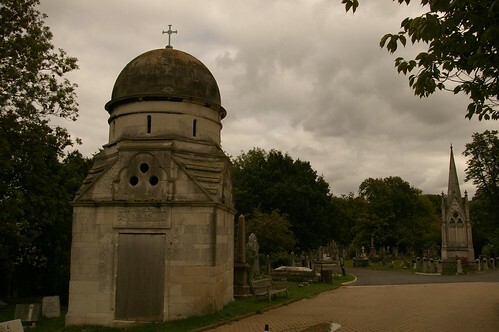 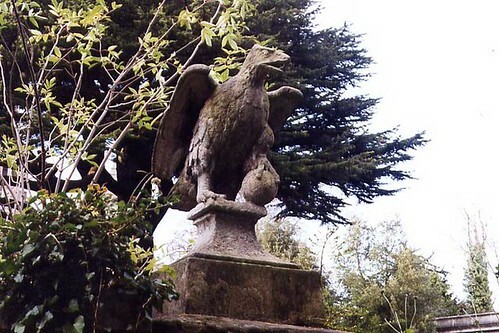 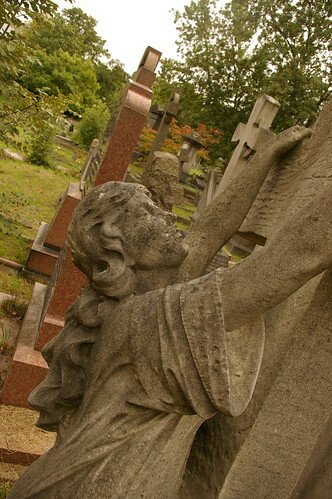 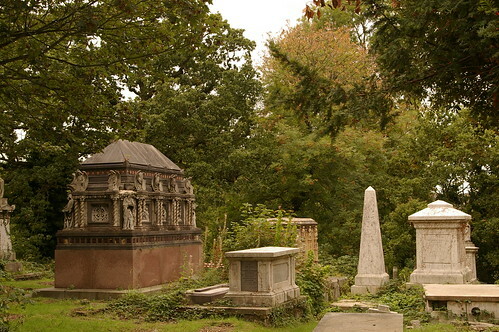 The site itself, perched atop a north London hill, was the ideal of Victorian cemetery designers; a series of winding paths intersperced with beautiful planting and impressive monuments, wind their way to the pinnacle of Loudon's magnificent creation, the Circle of Lebanon with its Egyptian gateways and neo-Classical catacombs around a superb central cedar tree. 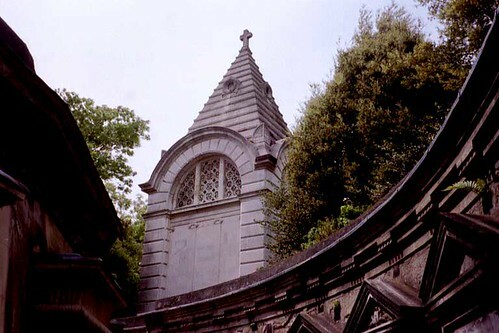 If only I could have seen this in the nineteenth century, when families took Sunday lunch on the flat roofs of their forebears' vaults, and the fashionable promenaded through trimmed and cared-for groves. 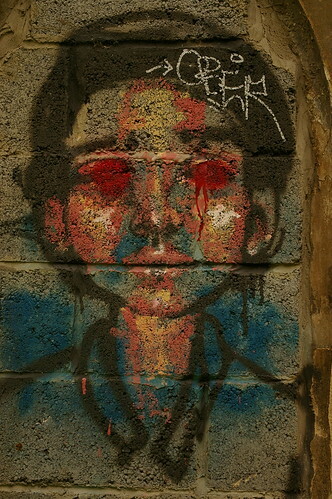 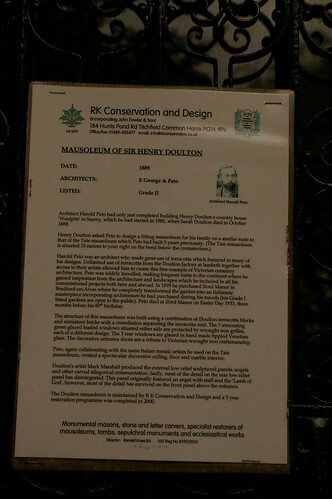 Poor Loudon would hardly recognise his creation these days. 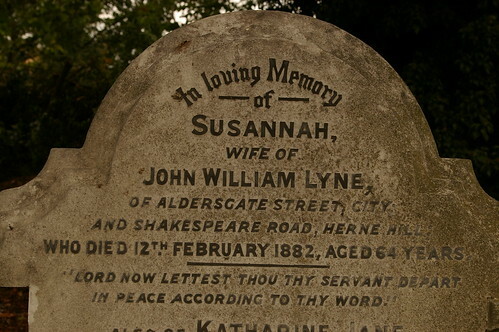 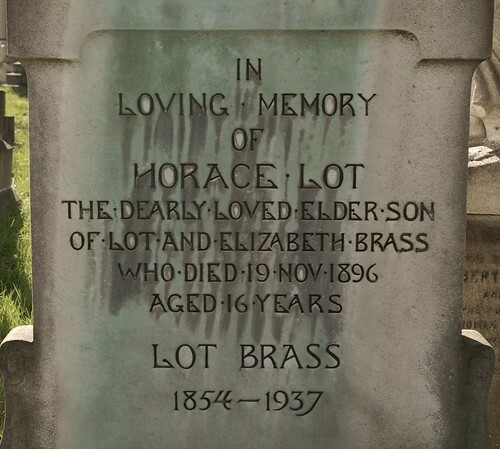 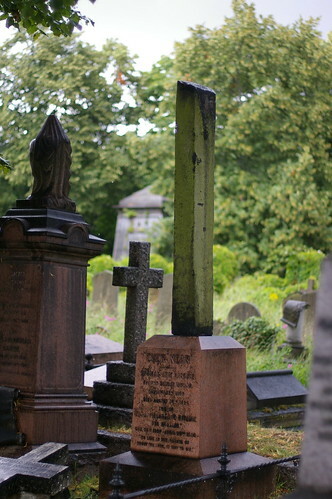 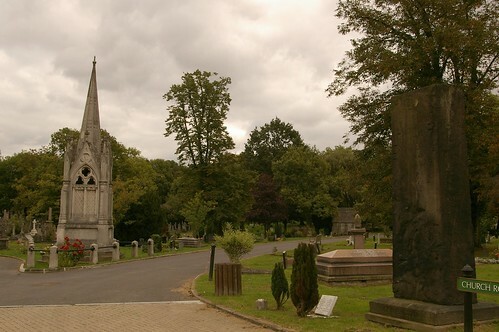 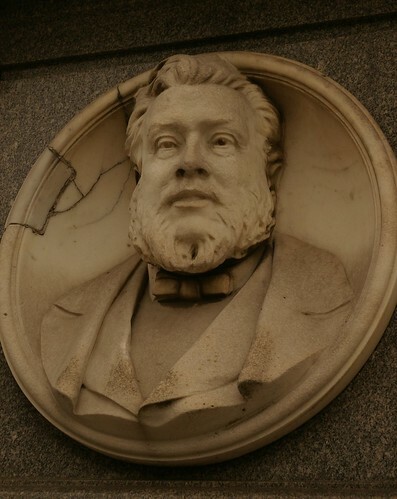 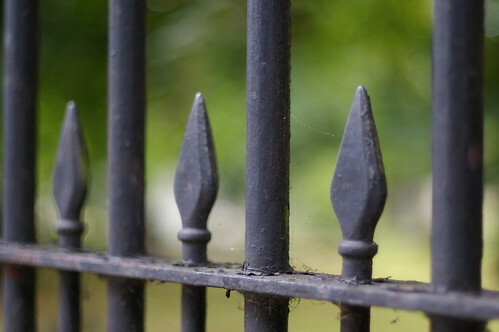 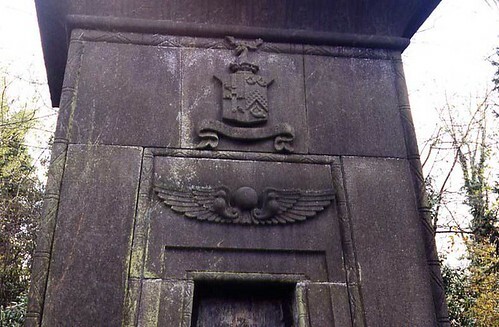 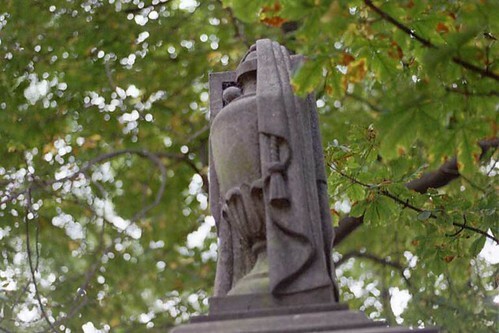 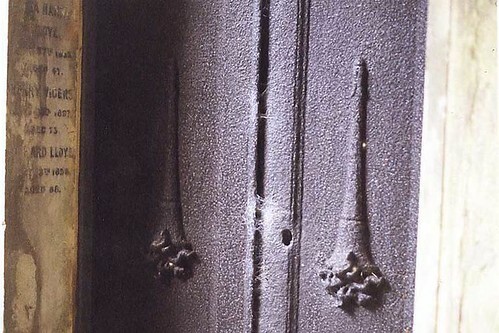 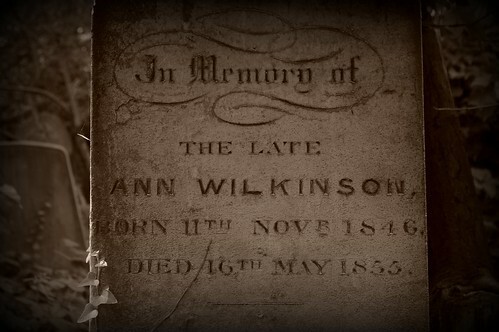 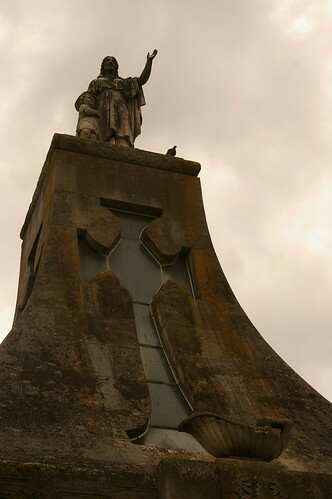 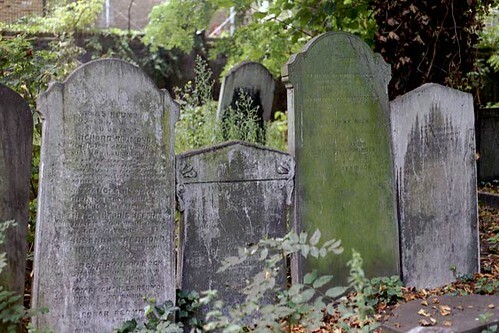 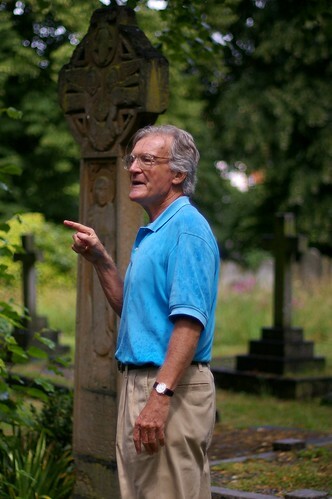 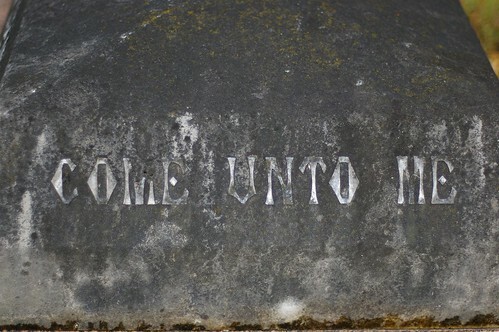 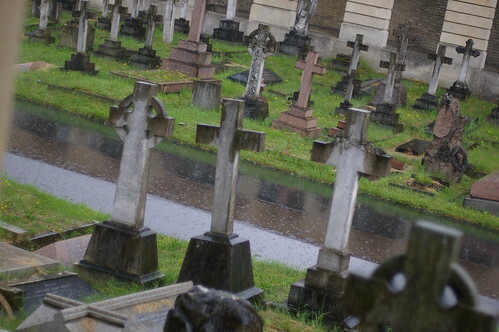 Years without maintenance have caused sections of the higher ground to start to move downhill, especially after heavy rain; if you are visiting to view a particular monument, it's very wise to enquire before setting out whether that section of the cemetery is accessible. 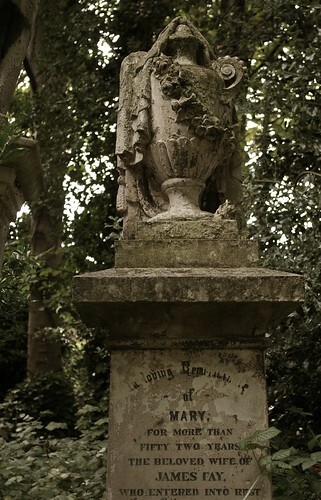 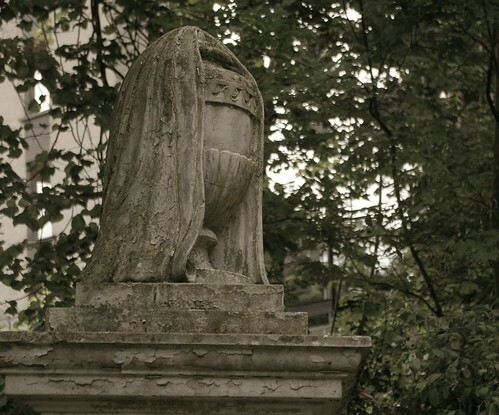 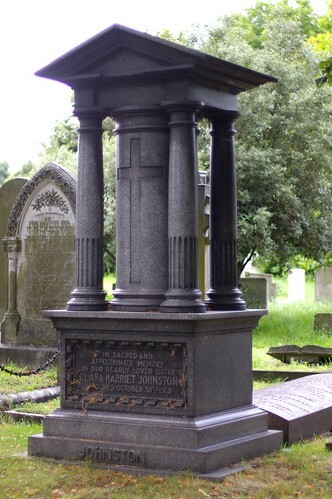 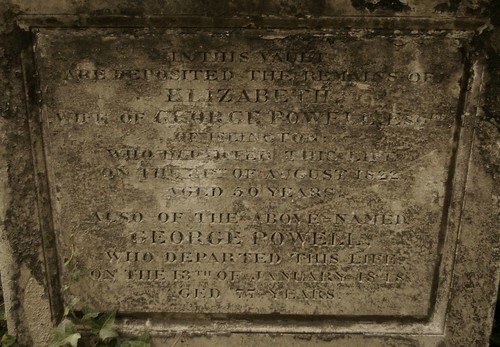 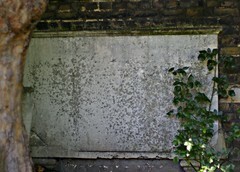 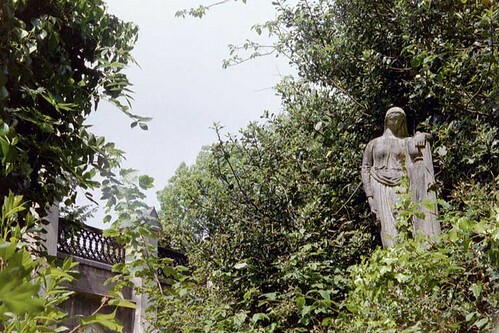 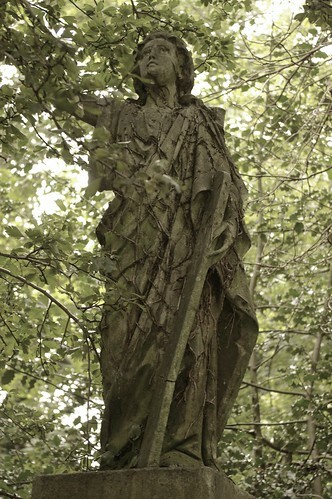 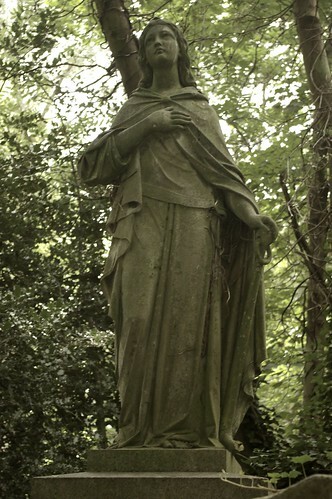 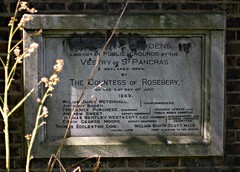 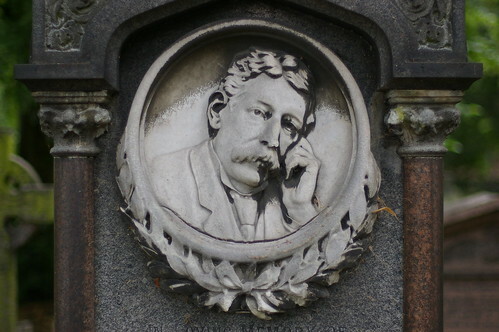 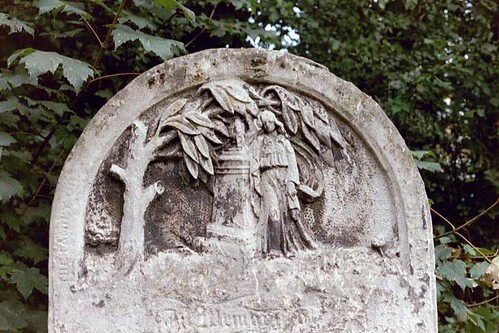 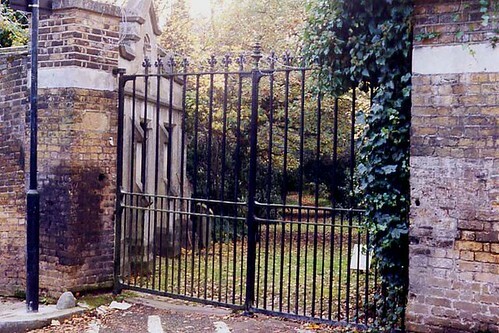 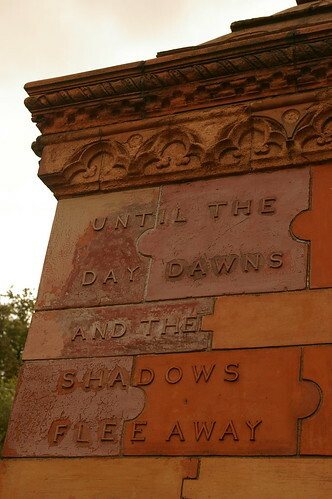 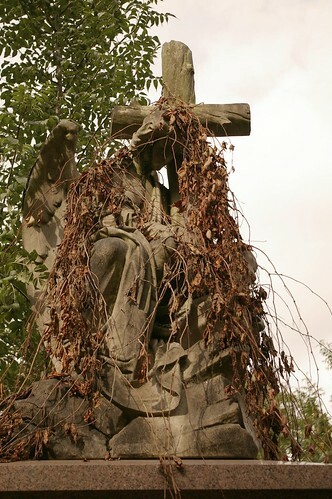 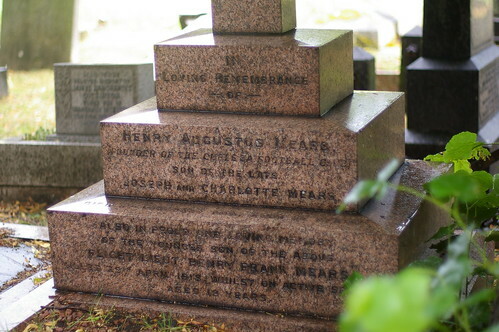 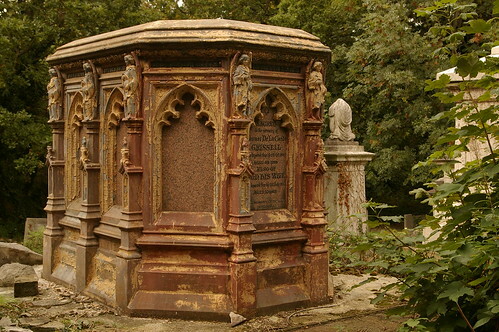 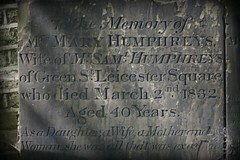 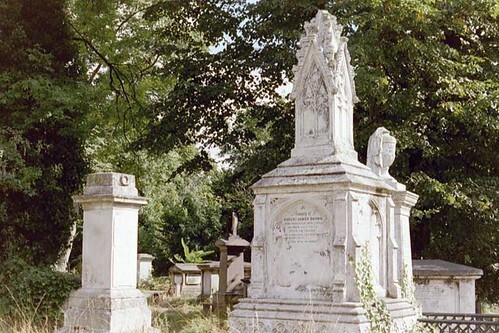 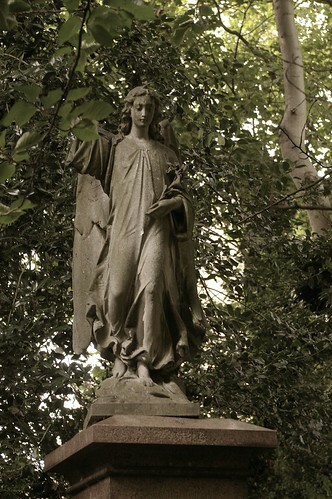 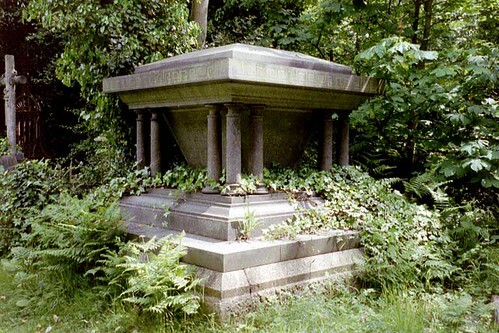 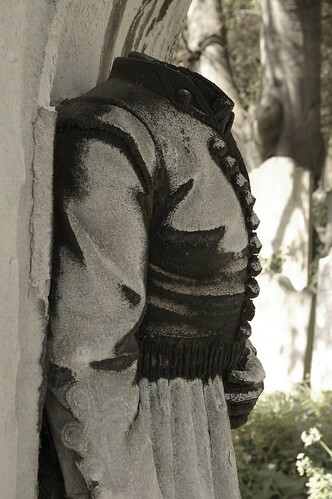 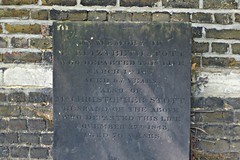 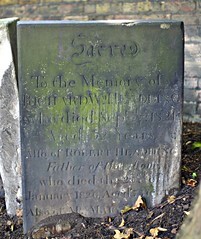 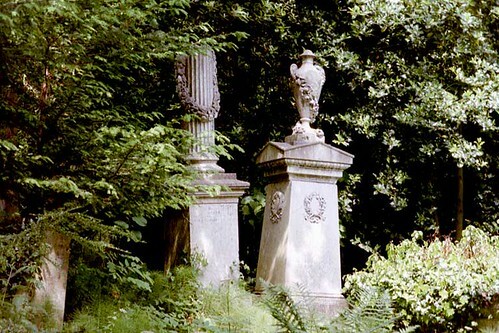 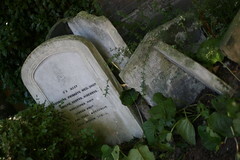 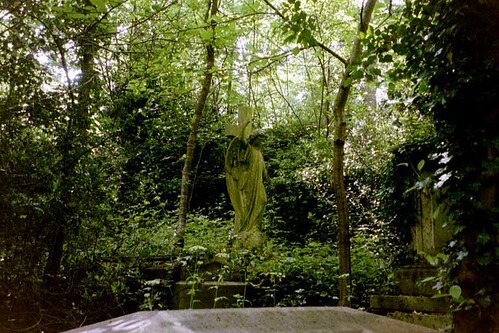 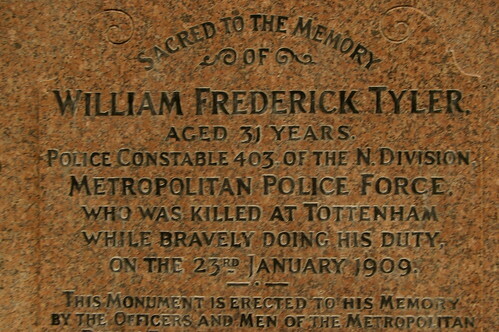 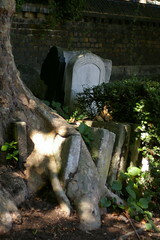 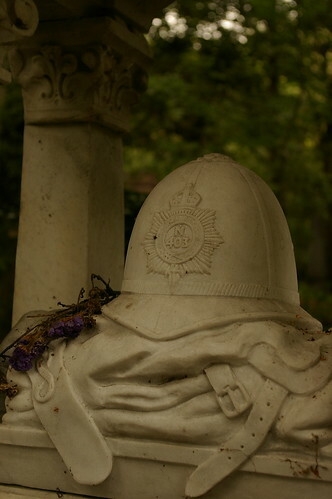 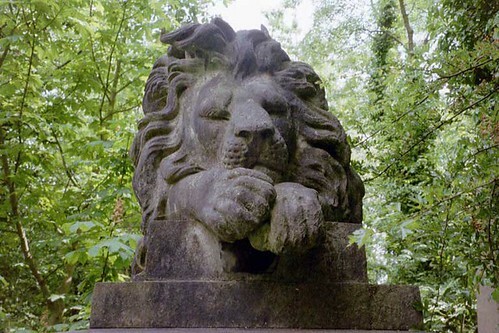 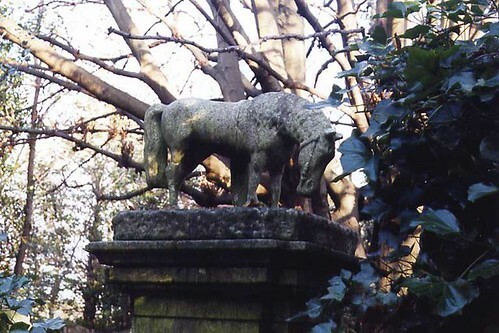 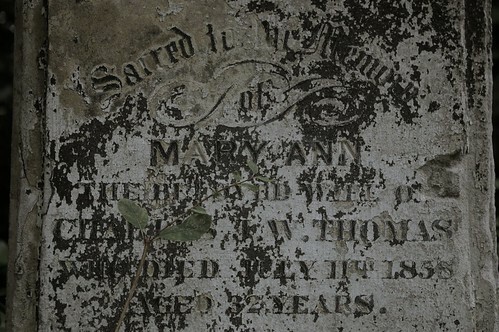 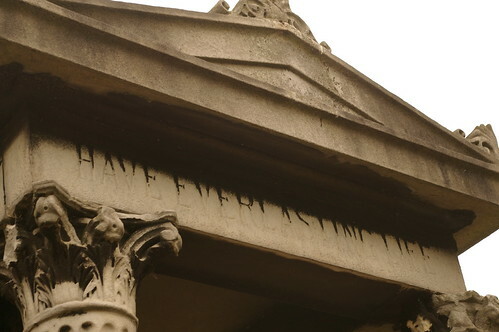 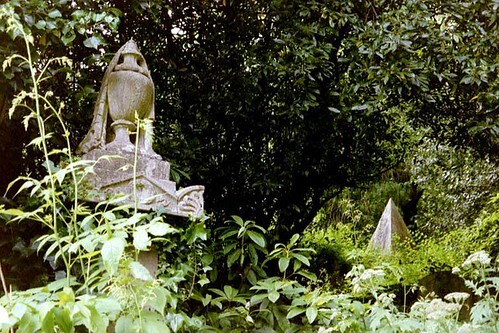 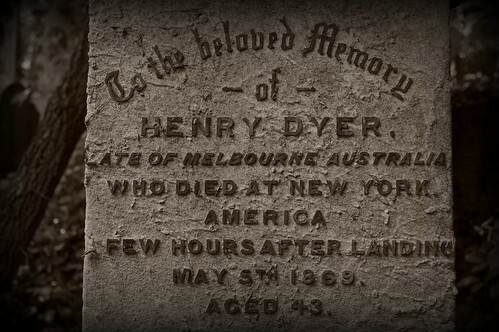 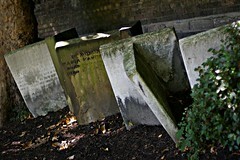 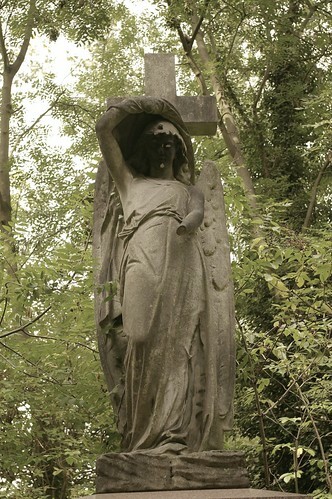 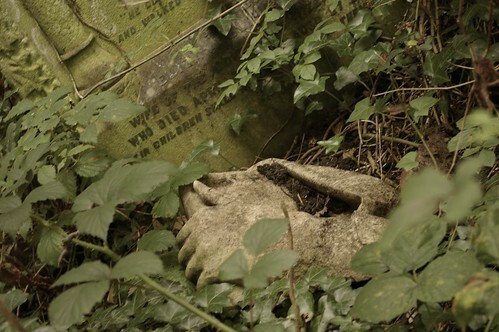 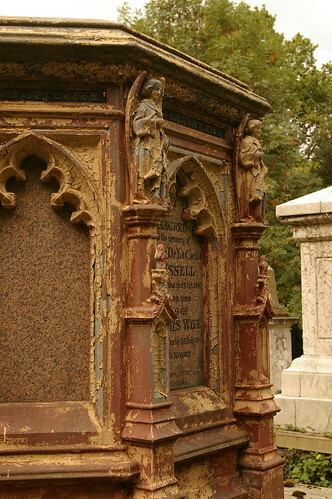 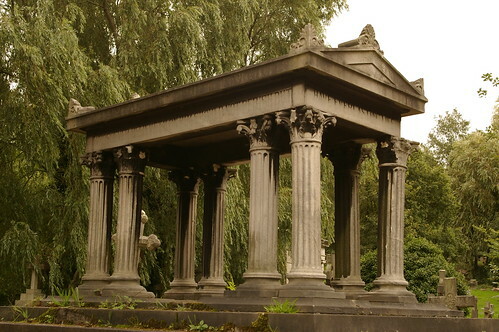 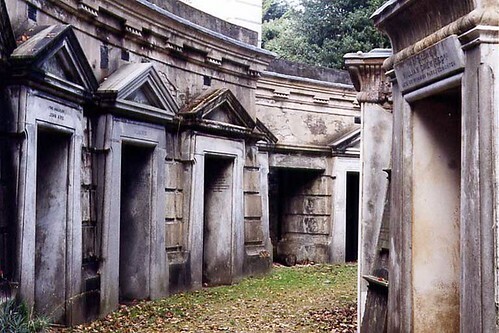 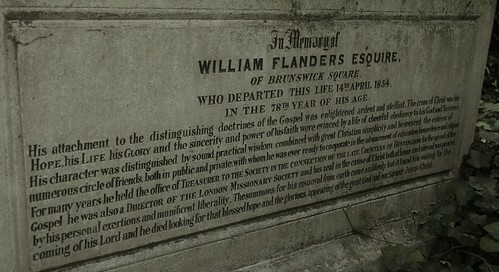 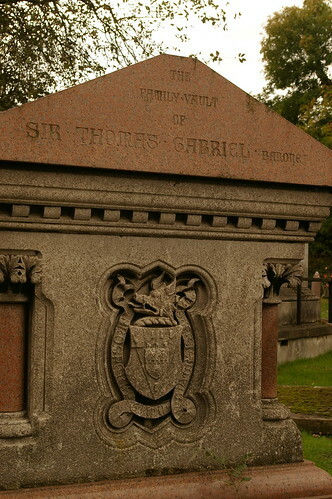 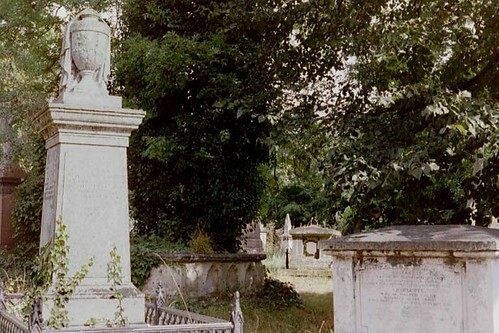 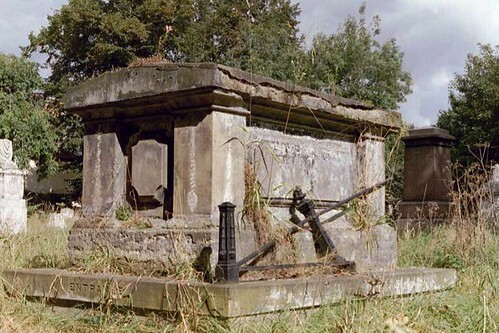 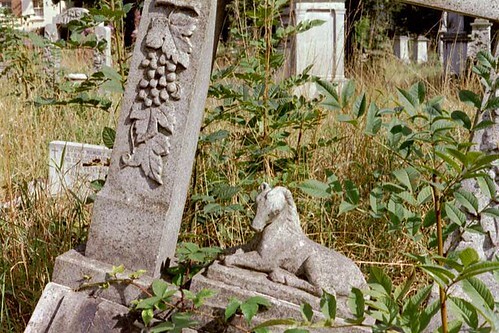 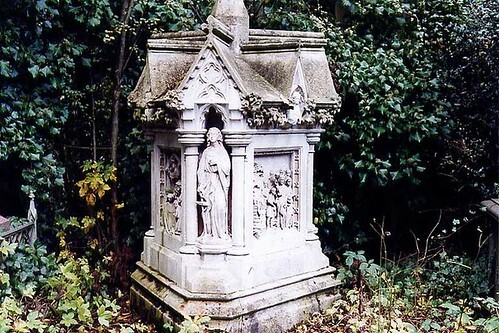 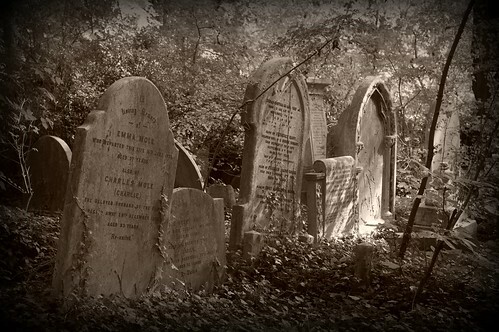 The paths and some of the monuments are just discoverable through the undergrowth; "managed neglect" to preserve the "unique atmosphere" of Highgate is now the watchword in this cemetery. 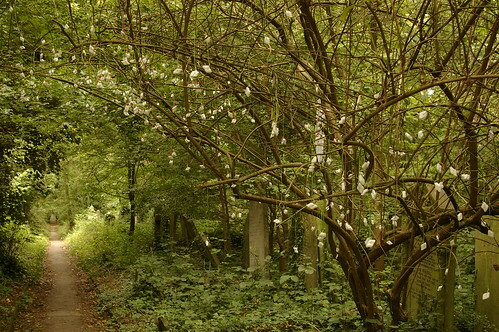 An extensive program of clearance during the 1970s was followed by large scale planting over much of the site: the idea was to manage the site as woodland, but the intensive maintenance involved in the initial stages of such a plan has really been beyond the small group of volunteers allowed to assist. 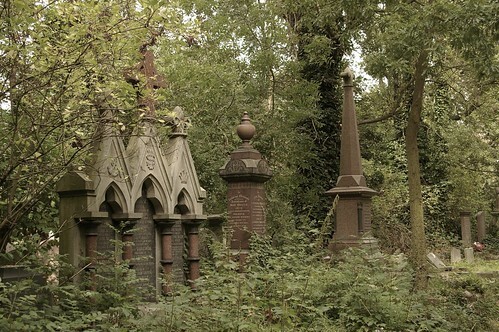 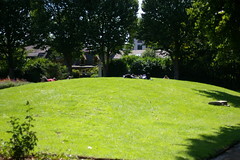 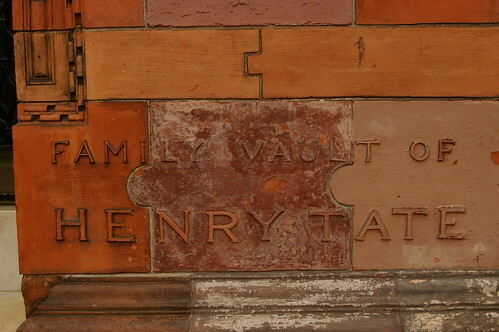 But nowhere in the plans for the future of Highgate is there any intention to manage this *as a cemetery*. 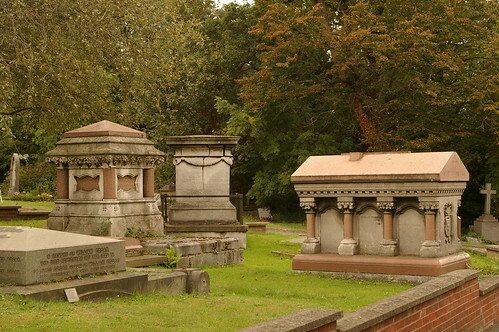 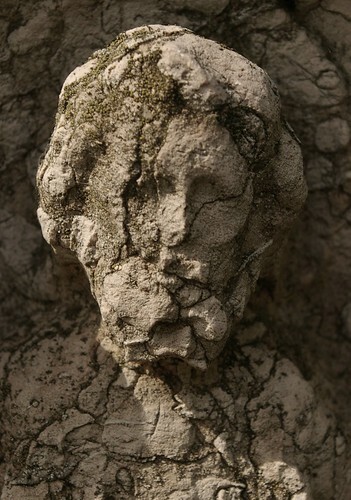 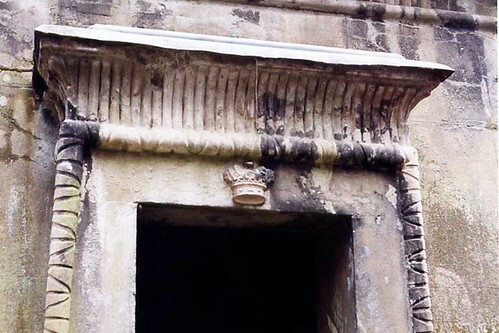 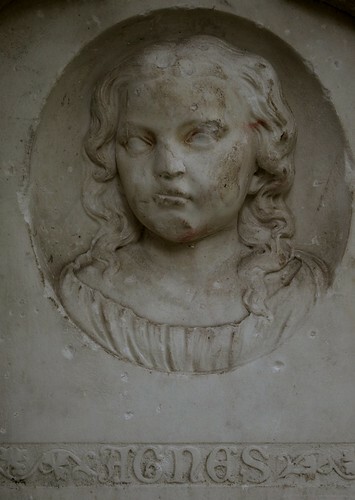 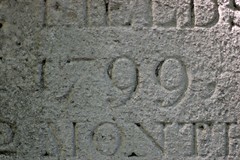 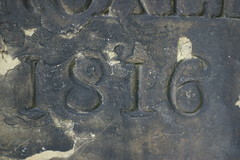 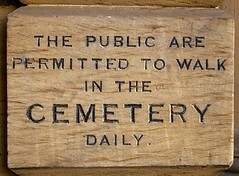 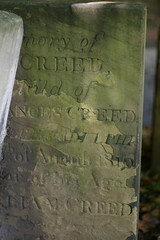 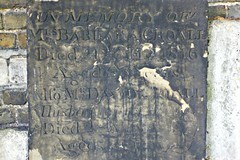 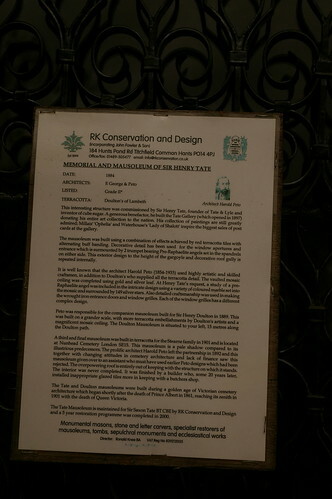 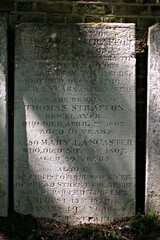 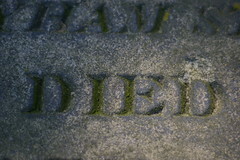 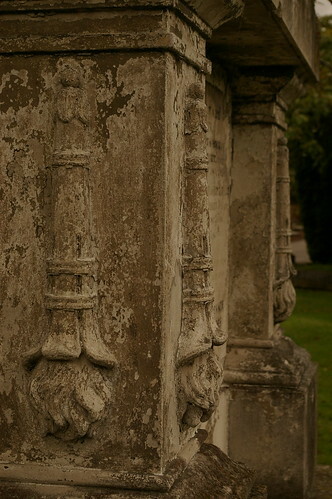 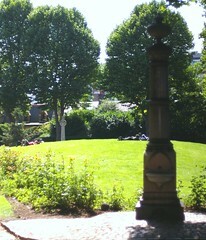 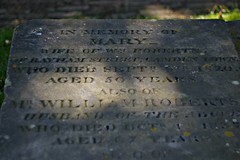 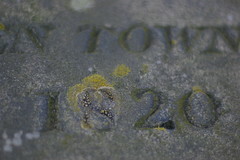 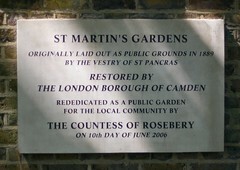 It is a shame that money is available to maintain the place as a nature reserve, but not to preserve it as a necropolis. 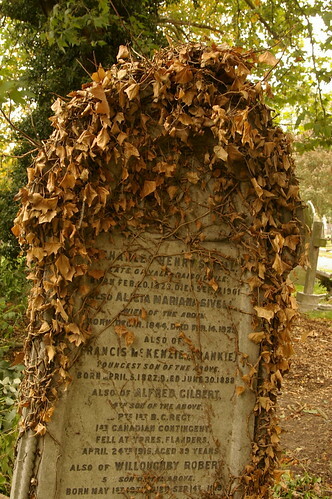 Working with the belief that ivy coverage will preserve the tombs, it is being allowed to run unchecked over large areas of the site, and will undoubtedly topple tombs with its roots even if its suckers don't damage the stone. 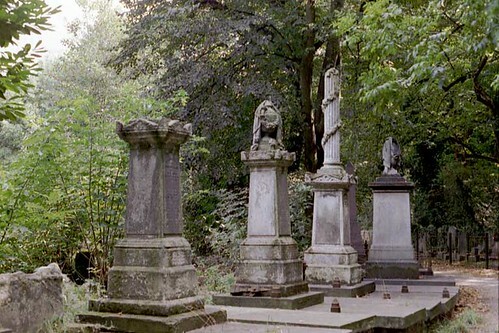 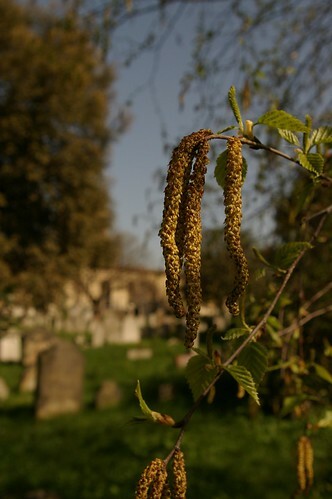 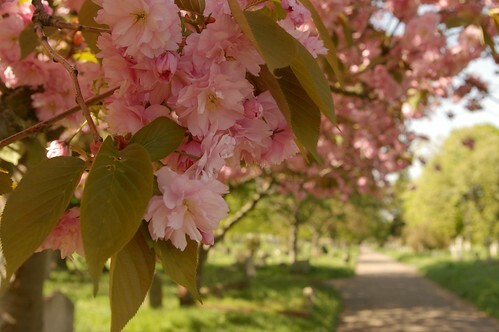 The Friends of Highgate Cemetery seem to follow the middle-class, north London mantra that tree planting is a cure for all ills: but this is a cemetery, not a wood, a construct, not a natural environment, and it should have been preserved as such. 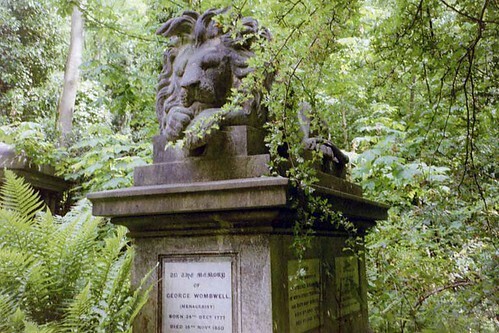 FoHC are often cited as a role model for the future of our Victorian cemeteries: I can only say that I hope that other schemes which preserve what remains and restore what can be discovered can be found, otherwise in another century, we may have some very attractive woodland, but we will have lost some unique pieces of social history. 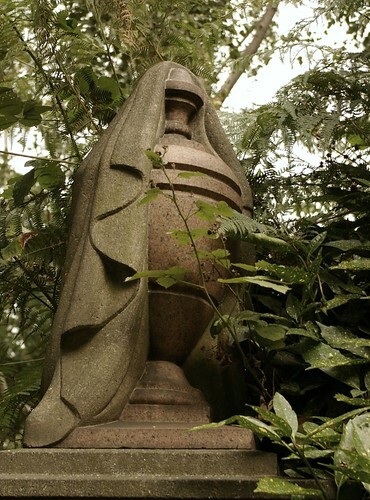 The biggest problem with Highgate Cemetery, however, is the formidable old lady who is there every single day (you'll know who I mean). 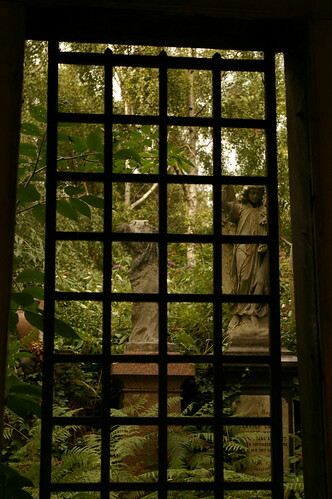 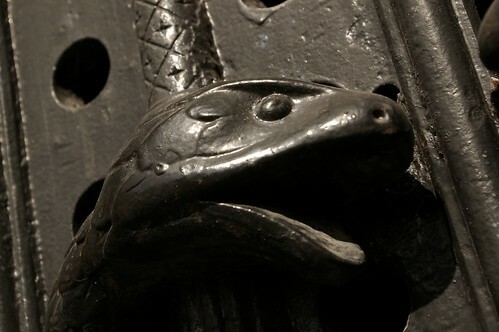 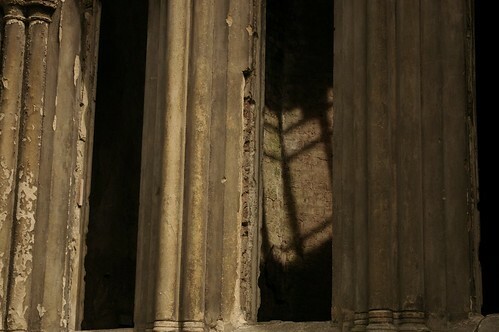 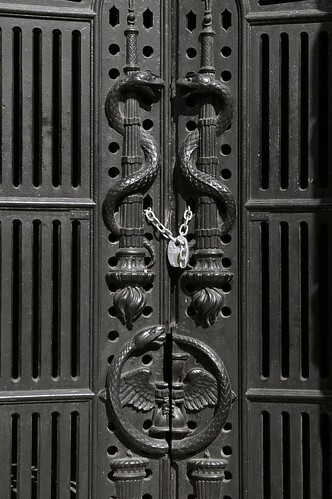 "She'd close the whole place to the public if she could," one guide whispered confidentially to me, and I believe it. 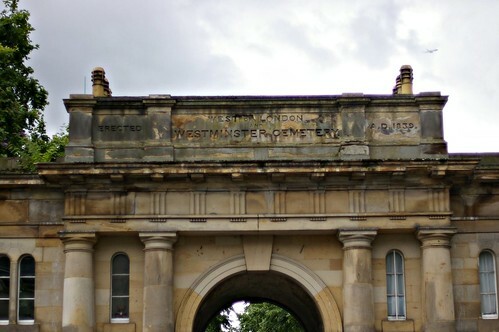 As it is, she's done her best to put people off: entrance to the western half is by guided tour only (maximum once daily during the week, more often at weekends, but phone to confirm before making a special journey). 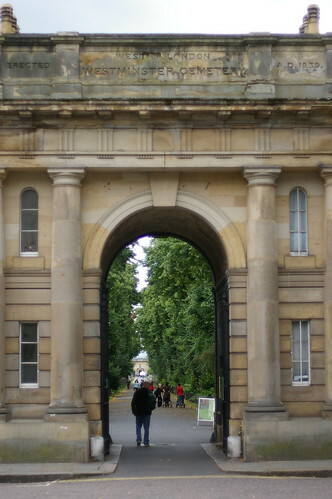 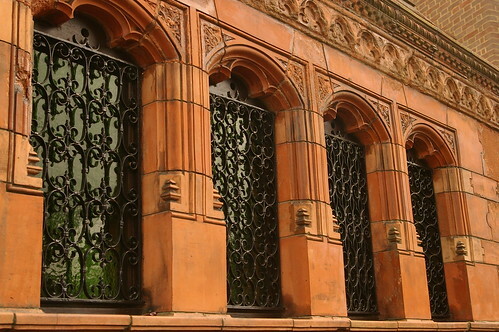 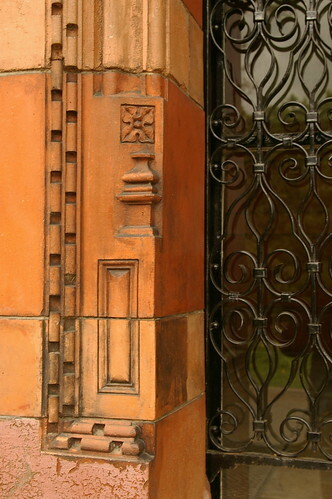 Separate entrance fees for west and east sections, increased in September 2005, make a visit to Highgate more expensive than some theme parks. 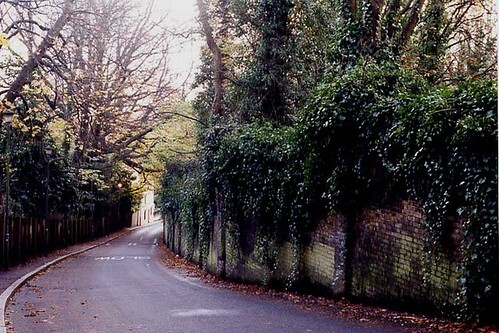 Add its distance from any form of public transport, its situation halfway down a narrow, one-way (northwards only) lane and the lack of any parking once you get there, and it's a wonder that anyone ever visits at all. 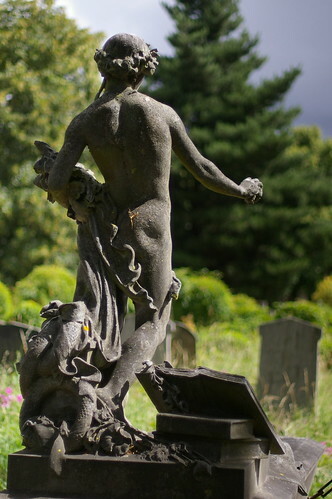 She also tried to throw me out for being "disrespectful": I'm not sure if that was wearing a t-shirt, or laughing at her when she told me bare arms were "unsuitable" in 70 degree heat, but be warned. 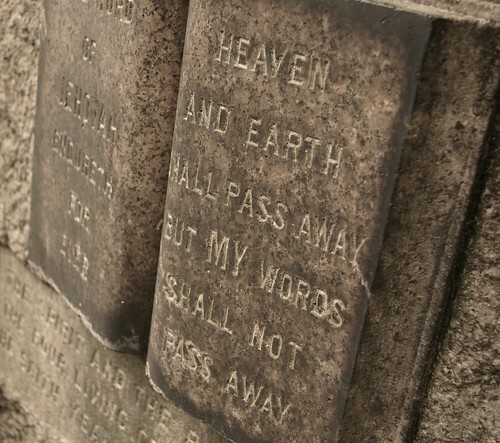 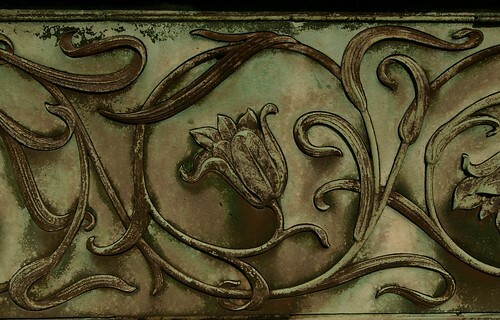 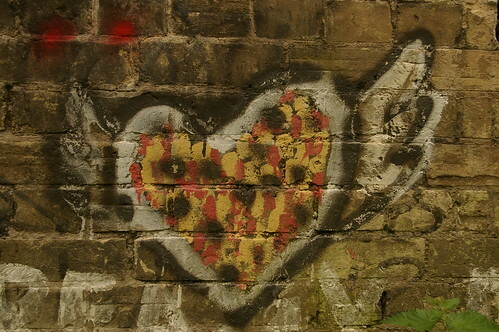 All this said, a visit here is well worth the effort. 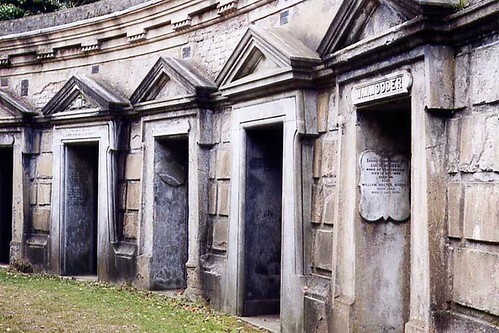 The Circle of Lebanon is probably the most spectacular part of any cemetery in Britain, but it's by no means the only thing worth seeing. 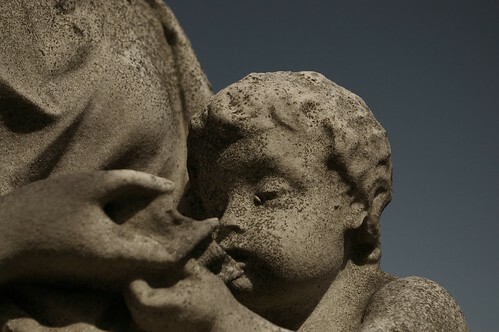 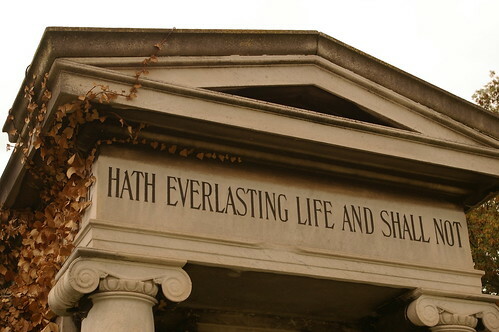 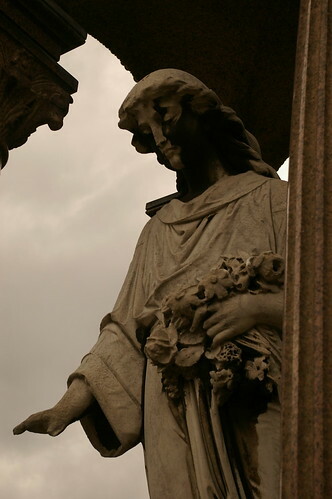 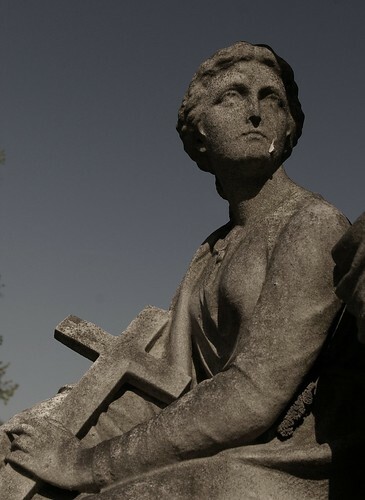 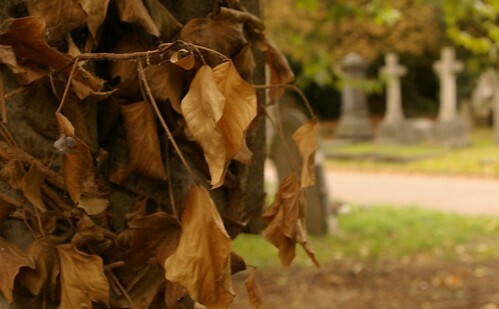 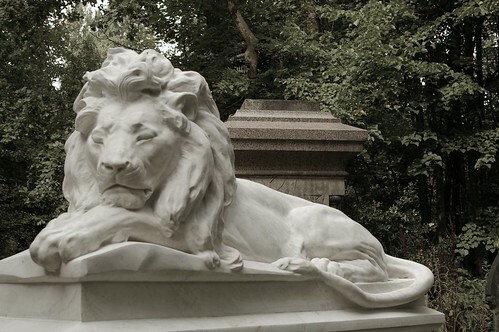 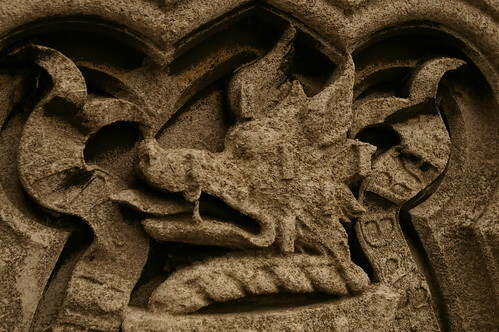 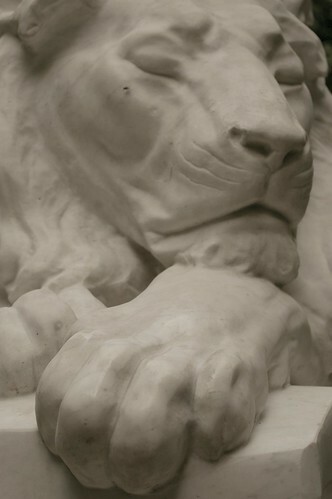 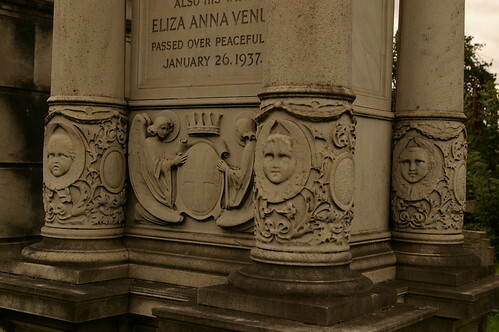 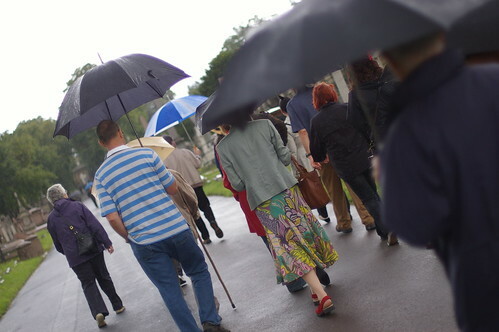 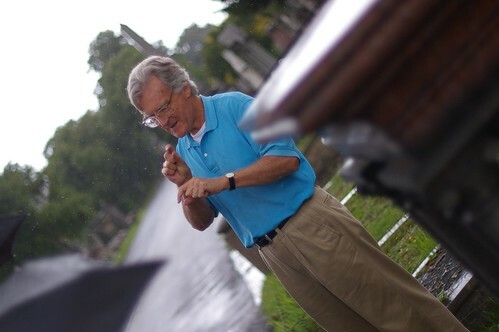 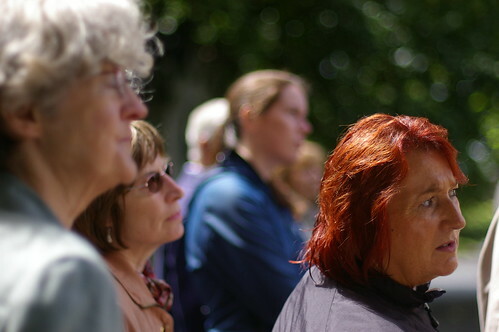 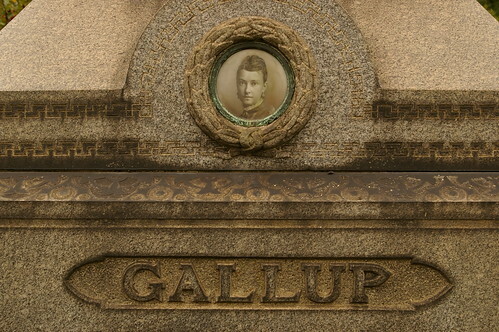 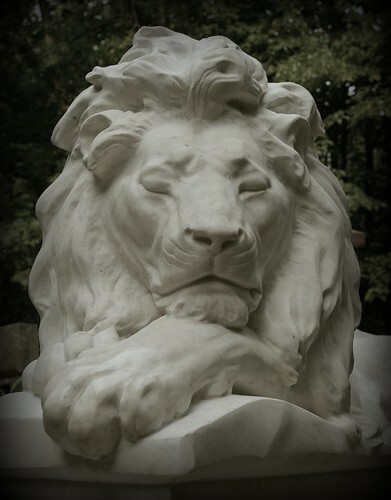 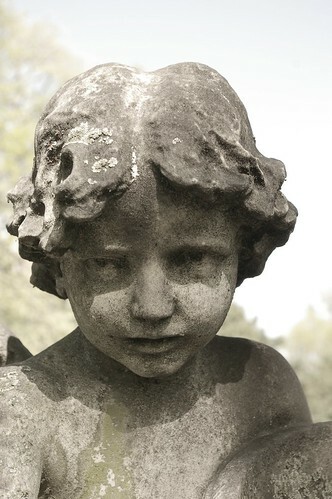 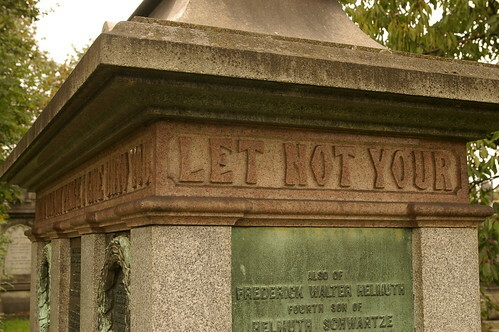 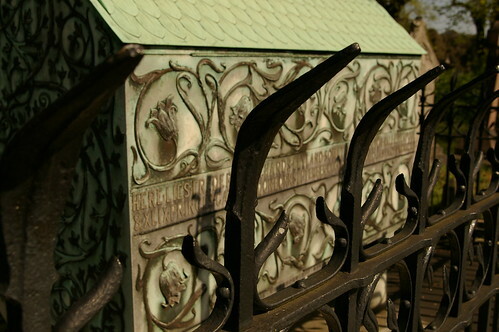 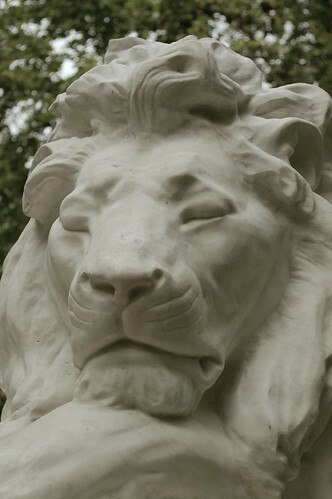 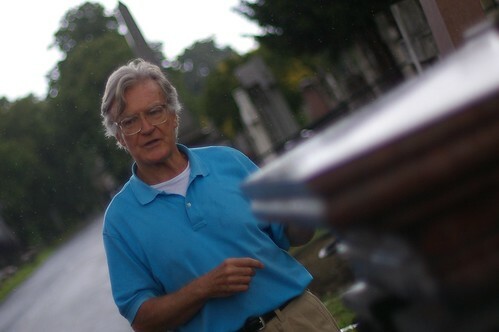 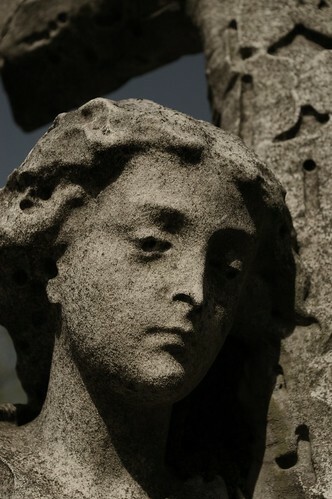 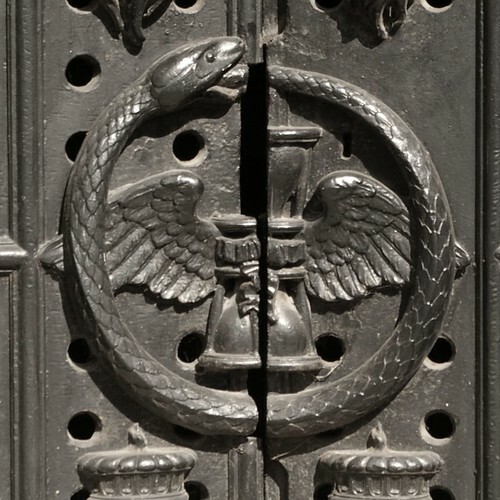 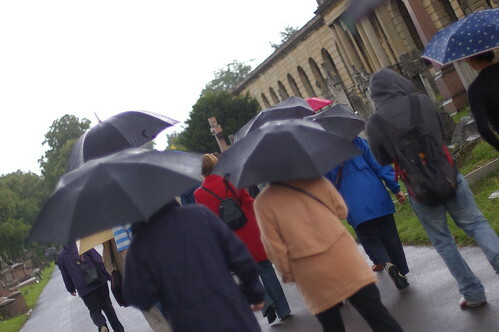 Each volunteer guide will take you on a slightly different tour, depending on their own preferences and which parts of the cemetery are currently accessible. 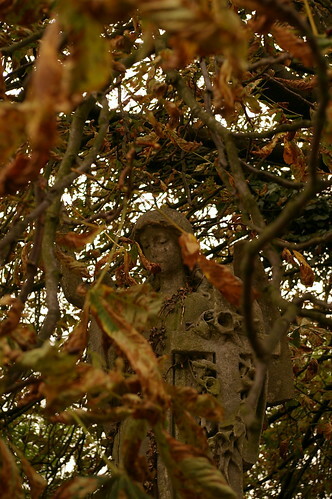 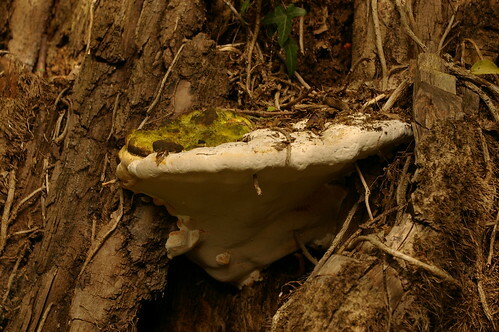 More is visible beneath the trees in the autumn, but the ground underfoot is more treacherous. 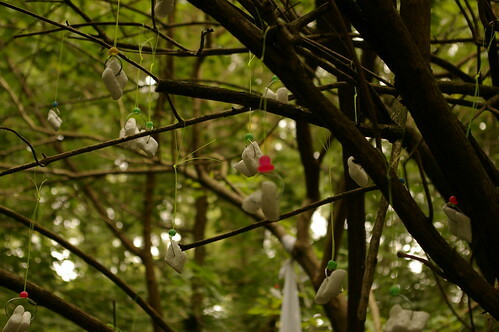 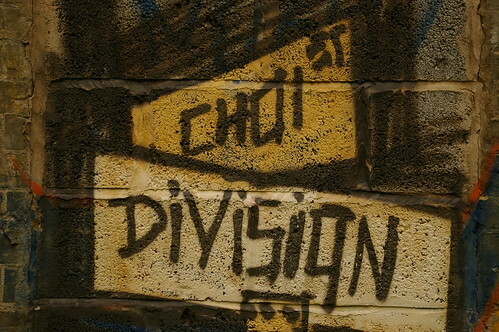 It is a journey to be planned like a military campaign. 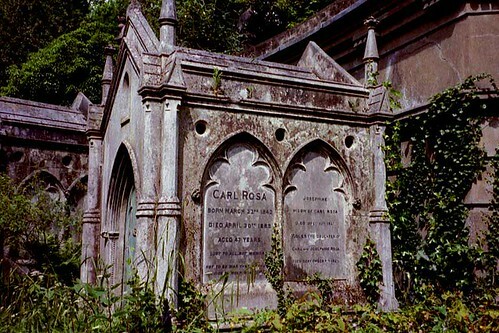 And don't mention the vampire. 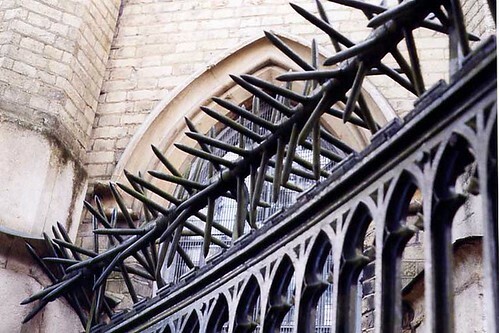 They get very upset if you mention the vampire.